Turn up the yellow & put some garden 'bling' in your landscape. Sparkle & Shine is great as an easy care flowerful hedge. It offers a moderately fruity fragrance and many hours of joy in your garden. 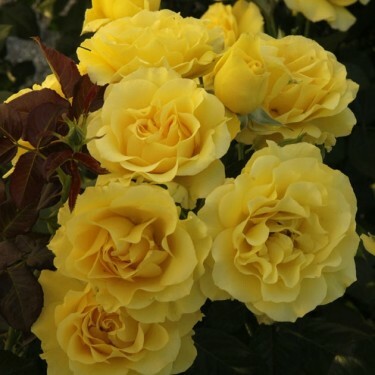 Our assortment of Weeks roses come in a variety of sizes and have been specially selected for their cold weather tolerance and are imported directly from the Weeks Roses in California, U.S.A.- one of the largest commercial rose growers in the United States since 1938.